Steve Beckow - I’m deep in the study of the breath and all roads, in this field, lead back to Ronna Herman. Diving into her messages has revealed treasure after treasure on many subjects. I re-post one very interesting and helpful earlier message on the “ever-expanding cycles of Soul growth” we encounter in transitioning into the Fifth Dimension. Beloved Masters, you are presently in the midst of becoming your genuine, authentic Self through the process of Ascension, which involves ever-expanding cycles of Soul growth. Your OverSoul-Higher Self is ever urging you onward and upward into the Light of more complex and powerful fields of consciousness. The quality of your life’s experience is determined by the frequencies of your thoughts moment-by-moment. The more energy you put into a thought, along with the repetition, determines how quickly a thought pattern will manifest, and how it will affect you in your present reality. Your thought forms radiate outward in an Infinity pattern where they join with compatible energetic fields of consciousness – a specific level of mass consciousness energy within the sub-dimensional hologram of life in which you presently exist. 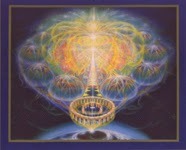 The frequencies of fear and negativity are very powerful in the third/fourth-dimensional stream of mass consciousness. Whatever negative emotions are the strongest in any situation will constantly be presented to you in different ways until you transmute the discordant energy into higher vibrational Light patterns. As more and more of your old reality fades away and you move deeper into uncharted territory, you must learn to trust and have faith that the future is unfolding perfectly, no matter how chaotic and disruptive it may seem at times. First, you must learn to trust yourself and this can be the most difficult step, for you have been taught that others are wiser than you, and they know what is best for you. This may have been true when you were a child; however, you are now adults with a golden opportunity before you, for the wisdom of the higher universal truths is now available to all humanity. We of the higher realms are here in great force to assist you to attain Self-Mastery and to reclaim your rightful state as a Spirit-infused, human Being. A vital component of Self-mastery is learning to function through the intellect of the Sacred Heart. 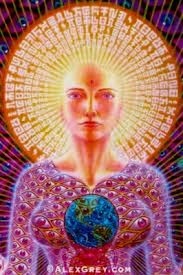 As you strengthen the connection between your Sacred Mind and your Sacred Heart, you will begin to access the wisdom of the Soul, your Higher Self and the multidimensional facets of your Self. Your Soul, your Higher Self, your guides, guardians and angelic helpers communicate with you through your Soul Self and your Sacred Heart. 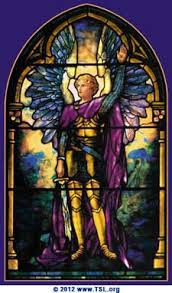 The whispers of Spirit in the un-awakened become a mighty voice of loving wisdom and comfort as you awaken to the strength and majesty of your own divinity. Your chakra system was designed to draw forth and integrate Creator Light/energy into the human body, as well as to contain all of the attributes, qualities and virtues of your godly Self. The function of the glandular system is to transfer that energy into material substance to be used by the physical vessel. You are relearning how to breathe the way you were originally designed to breathe, which gives you access to Prana, the breath of Life, and also assists in the integration of the pure Creator Essence of life called Adamantine Particles. In those first golden ages, these wondrous tools and techniques were used without distortion to manifest unlimited energy, and they facilitated the creation of everything necessary to live in comfort and abundance. In those wondrous times, the Earth was a true paradise called the Garden of EDON. In order to gain access to and connect with the higher mental body, you must strive to stay centered within the Sacred Heart. This process can only be initiated once you have a firm control of your physical-emotional body. The conscious mind must have periods of silence in order to attune to the subtle whispers of the Soul and your Higher Self. You will attain peace of mind by consciously breathing through the Sacred Heart (the Infinity Breath), which becomes a natural way of breathing once you establish the Infinity Pattern within your physical vessel, and practice the technique until it becomes a habit. It is vitally important that you learn to breathe mindfully. Through the process of focused breathing – by following the path of the breath – you will gradually become aware of the different parts of your body. Your Body Elemental’s signals of discomfort or dis-ease are very subtle at first. If you do not heed these signals, they will gradually evolve into pain or possibly a serious illness. While existing in the restrictive vibrational fields of the third- / lower-fourth-dimensional world, humanity has access to only the half-spectrum Primal Life Force Energy – energy which creates crude matter and creates evolutionary boundaries. We have spoken before of the structures of the material plane of consciousness, and how the structured beliefs you have created imprison and restrict you just as effectively as can any physical structure. Your physical body can be a vessel of delight, joy and freedom, or it can be a prison of pain and limitation. Your relationships, job, family or spiritual beliefs can be beautiful, rewarding and bring a sense of self-worth, satisfaction and accomplishment, or they can be a heavy burden and make you feel unappreciated, worthless and dis-empowered. We have often said that moving out of your comfort zone and the collective conscious belief structure is a very courageous thing to do. Bravely going forth to seek and live your own truth is the first step in taking back your personal power. As you release the shackles of the past and come to the understanding that you are in control of your future, you begin the process of awakening to your potential as a master co-creator. As you gain wisdom and begin to enjoy the positive results of your endeavors, you begin to trust yourself and your judgment. Your multi-sensory perception expands and becomes stronger, and you learn to view both the positive and negative results of your choices from a higher vantage point, thereby gradually learning to make decisions from a heart-centered point of view. You are learning that in order to create your new reality of joy, harmony and abundance, you must endeavor to discover and integrate your own highest truths, and then live your personal philosophy to the best of your ability. Through experience, you have learned the rules of karma, the painful cause and effect results of distorted thought and action. Down through the aeons of time, you have become proficient co-creators in the material realms of existence. Through much effort and practice you have learned to mold Primal Life Force Substance into a multitude of forms, many of which were elegant and inspiring, and others of which were distorted, for they were a reflection of your diminished vibratory force field. The process of ascending into the higher-dimensional realms of greater Light requires that you strive to unify your Earthly consciousness with each higher vibrational level of God-consciousness. 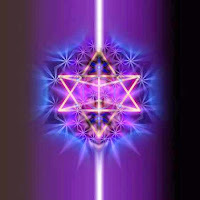 The Grand Plan was designed so that your re-entry into the higher realms would be accomplished through the integration of the White Fire Seed Atoms stored within the Diamond Core God Cell of each more advanced, facet of your Higher Self. One-by-one, step-by-step, you are integrating the will power, the wisdom, the attributes and qualities of each vaster facet of your OverSoul. How quickly and easily you accomplish this is up to you, for you were given the gift of FREE WILL, which is an important component within the grand design for this Sub-universal experience. 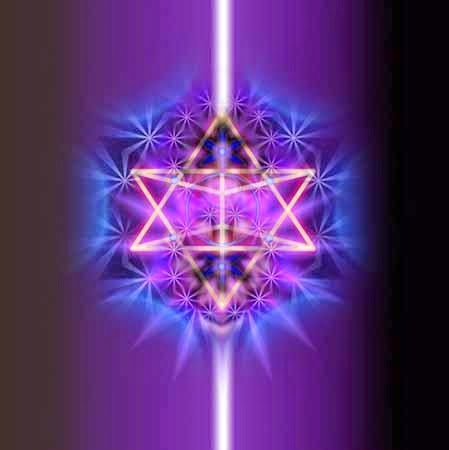 Every facet of Creator consciousness in this Sub-universe has experienced Soul-body fragmentation, and every Soul, at every level and station of Beingness, is now in the process of healing and reuniting with the many facets of Itself. You will integrate as many facets of Self as is humanly possible while in your present physical vessel, and the process will continue as you traverse the higher realms of existence. When you are filled to overflowing with Love/Light and your OverSoul-Higher Self is the director of your life and experiences, you no longer worry about getting your share of love, wealth, respect and so on, for the validation of who and what you are radiates forth from within. That is when you move into the higher vibrational mode of a Self-master, and the little self or ego desire body returns to its proper role as a servant of the Soul Self. You know without a doubt that you have access to the riches, virtues and talents of your Divine birthright, and that you create your own reality via your seed thoughts, intentions and actions. Group consciousness and interaction become more important to you than individual friendships. You are developing all-encompassing, Unconditional Love and compassion for everyone, and you are no longer totally dependent on anyone person or any thing in the physical realm. Faith is an intrinsic facet of trust: faith in yourself and your judgment, faith in those around you who have proven themselves trustworthy and honorable, faith in our Father/Mother God, the Universal Laws, and the Divine Blueprint for the future of humanity. We are not speaking of blind faith, for that is another way of giving your power away to someone else – their teachings or rules. In your material world, faith is built through actions and positive outcome, a function of the mind filtered through the heart. 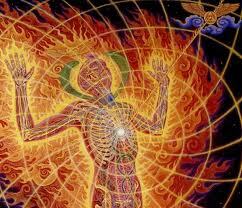 The heart is both a magnetic and radiating vortex, and it is the storehouse for the true source of human power. Your Sacred Mind holds the seed thoughts of your past and the future, and it is your personal source of the Divine will and power from our heavenly Father/Mother God. Your seed thoughts for the future must be incubated within the Sacred Heart, and the Adamantine Particles of Creator Light ignited by your altruistic love. Thereby, through your pure intention and actions they are manifested in the world of form. Abundance of all kinds is a natural manifestation when you are in harmonious attunement with Spirit and the Divine Plan for the greatest good of all. This is necessary in order for you to integrate as much of the “radiance” of the new, more powerful God Rays as possible – the powerful and transformative Essence of the Creator – which is now bombarding the Earth and humanity. We have told you that the situations you are now experiencing are not specific “karmic actions” that you are clearing, for millions of you have moved into a State of Grace, and are no longer affected by the past.